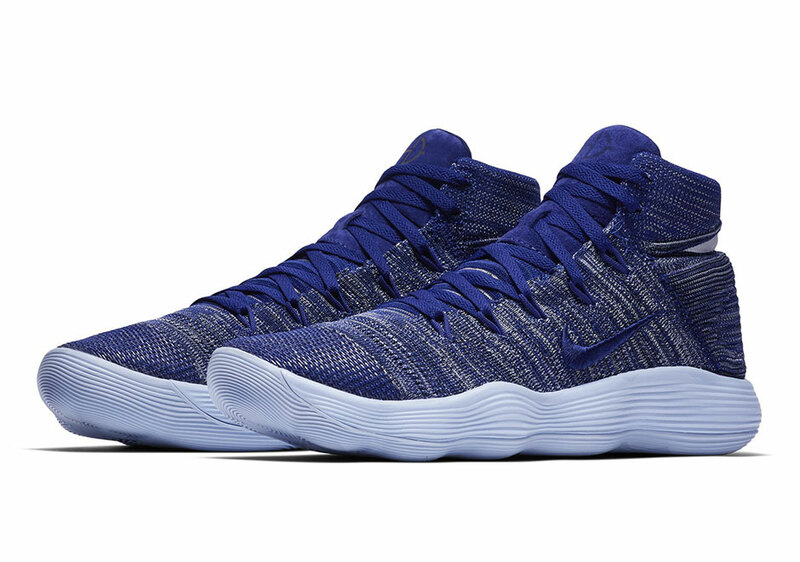 The Nike REACT Hyperdunk 2017 is feeling blue, but in a good way, for this upcoming release with a mix of blue shades across the Flyknit upper and sole. The latest innovation from Nike Basketball drops on August 3rd in simple white and black colorways, and it looks like they’ll soon be followed by this more colorful version with a heathered royal blue and grey Flyknit weave up top and a light blue tint on the wavy REACT foam midsole and rubber outsole. 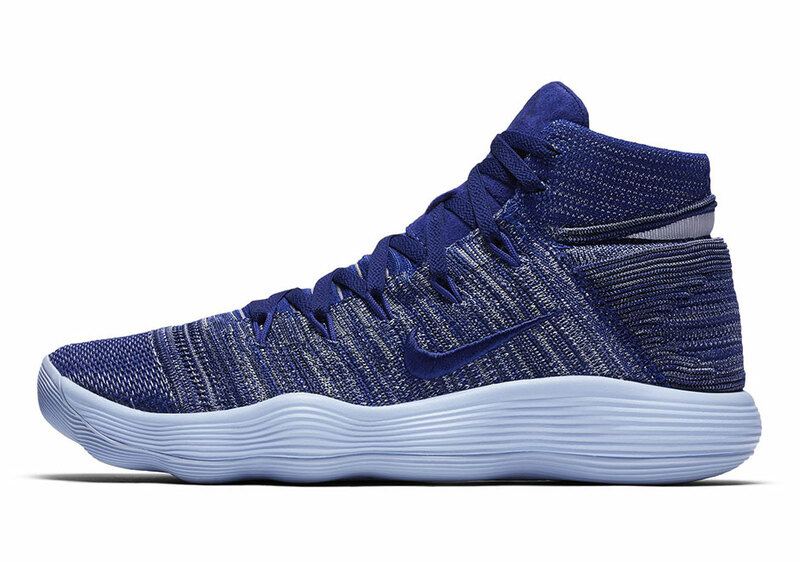 While we wait for a release date for this blue colorway, check out the Cargo Khaki Hyperdunk 2017 Flyknit and the mesh version with color fades on the misole.